An energy audit is required for a REAP application. The Nebraska Manufacturing Extension Partnership (MEP) at UNL conducts energy audits to meet USDA Rural Development grant and/or guaranteed loan application requirements. Energy audits can be conducted at any time by Nebraska MEP staff but must be completed in advance of USDA application submission deadlines. The program’s focus is on areas where local electric utility providers do not offer free audits. Nebraska MEP, which received an Energy Audit Program grant from USDA Rural Development, will pay 75% of the cost of an audit. Applicants will be required to pay 25% of the cost. 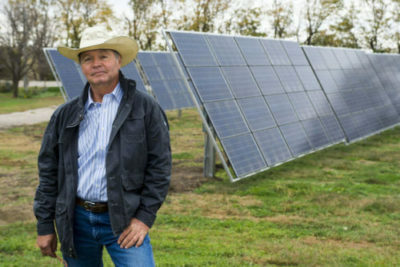 This entry was posted in Financing, Nebraska / Midwest News, NewsBlog and tagged Jeff Carpenter, Marketing Extension Partnership (MEP) at UNL, Matthew Jorgensen, Nebraskans for Solar, Rural Energy for America Program (REAP) grants, US Department of Agriculture (USDA) on September 24, 2016 by Helen Deffenbacher.